The Baltimore Orioles player visits his alma mater to talk about friends, video games and his most memorable MLB moment. 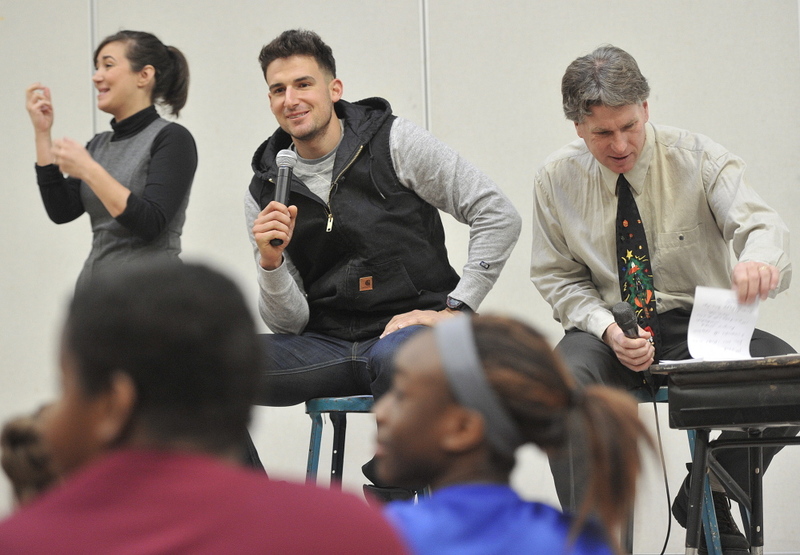 Ryan Flaherty was being peppered in his old Portland school cafeteria Thursday. The eighth-graders at Lyman Moore Middle School were getting their first look at the famous alumnus, a baseball player for the Baltimore Orioles, and they were clamoring for insight. The second question knocked Flaherty off his feet like a Mariano Rivera brushback pitch. “How long did it take you to get your hair that poofy?” one student asked while his classmates giggled. “Those are the questions I’ve been waiting for,” Flaherty said, chuckling himself. Flaherty can be forgiven for not being impeccably groomed. 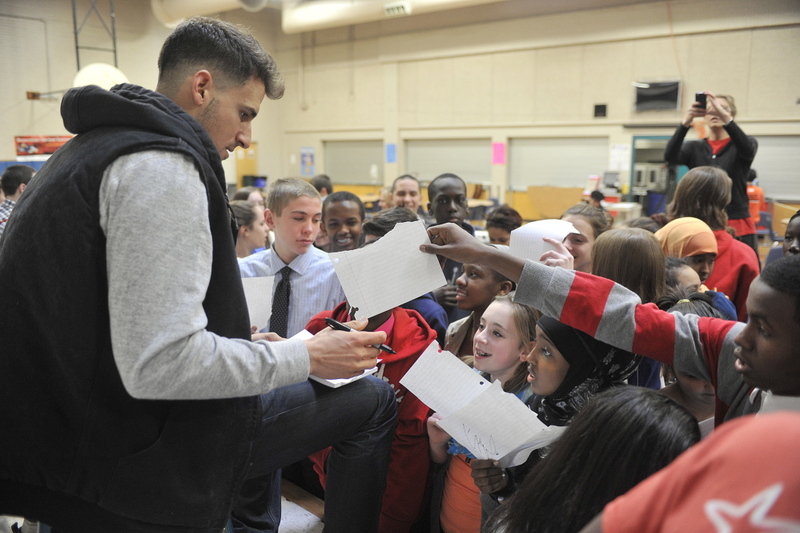 He is back in Portland spending the holidays with his family, staying in his old room, and admitted later that he had been awoken by a 7:30 a.m. phone call from Principal Stephen Rogers to get him to his 9:15 a.m. speaking engagement at Lyman Moore. It was the first time Flaherty, 27, had graced the hallways since his time as a student there, and he was surprised to note that nothing had seemed to change. “Most of the teachers are still here; they all still look the same,” he said. This is a pivotal offseason for Flaherty, who hit .224 with 10 home runs while playing every infield position for the Orioles in 2013. His primary home was second base, where he’s a terrific defender now in prime position to claim an everyday spot after veteran Brian Roberts signed with the Yankees. Baltimore traded for Jemile Weeks from Oakland and has top prospect Jonathan Schoop also waiting to battle Flaherty for that spot. Flaherty, a two-year utility player for the Orioles, bats left-handed and has yet to be given much of a chance to face left-handed pitching (only 23 of his 246 at-bats last season). “You never know what’s going to happen. I need to make sure I’m ready for whatever it is,” he said of the Orioles’ plans for him. Flaherty was happy to take a break from that uncertainty to fly home to Portland, where he is reconnecting with his family and friends. He will return to Sarasota, Fla., for baseball work after the first of the year. “The four or five close friends I have today all went to middle school here, and we talk all the time,” he told the Lyman Moore students. Rogers said that, after the school’s Career Day offerings, students asked to hear from a professional athlete. Flaherty was happy to oblige, graciously answering 20 minutes worth of wide-ranging questions before signing dozens of autographs for the eighth-graders. â¢ His salary: “You can find it online, I’m sure. Not as much as a lot of my teammates.” (It was $493,000 last season). â¢ Favorite athlete as a child: Derek Jeter. That last response drew the loudest cheers of the morning from the students. But Aidan Richman found the whole appearance inspiring. Lini Ben dreams of playing in the NBA, and was surprised to learn that a professional athlete got his start at Lyman Moore. 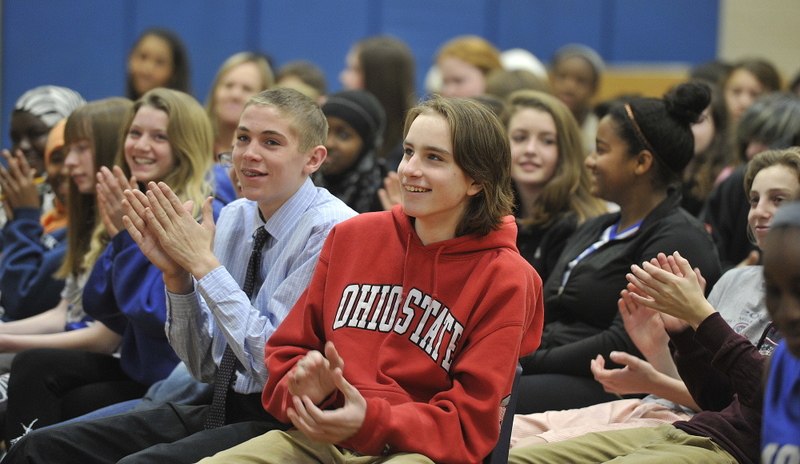 Flaherty offered the students some perspective about what it means to be popular.